Not quite a beach boy, but just as effective! This easy to pull beach caddy has large balloon tires that easily carry all your beach items over the sand. EASY TO PULL! 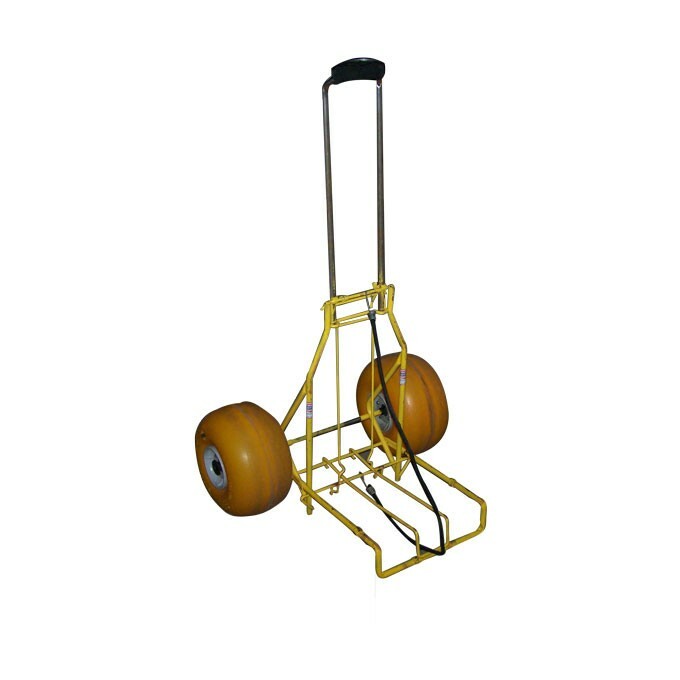 Compact metal "hand truck" with large flotation tires for easy rolling on the beach. Has straps to hold your items securely on the caddy.